Welcome to the third day of Ugly Sweater Week here on Hockey By Design! If you’re just joining us now, in the coming days, we’ll show you a holiday tradition we’d love the NHL to start enacting: in the 7 days before the NHL takes their 3-day Christmas break, every team wears its most historically ugliest jersey in their games, creating a truly festive and horrific display on the ice. By ‘ugliest’, we mean the jerseys that are a combination of being dreadful by (a) being more ostensibly garish and colourfully obnoxious rather than poorly designed, (b) by the jerseys that’s generally accepted as being the team’s ugliest jersey outside of our opinion, and (c) our opinion. It includes the jersey collection of the entire franchise (i.e. 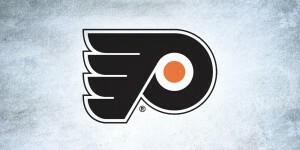 – including jerseys prior to relocating to its current location) and consideration will be given to (mostly) ensure the home teams are in coloured jerseys and the road teams in white. Remember these, Buffalo fans? 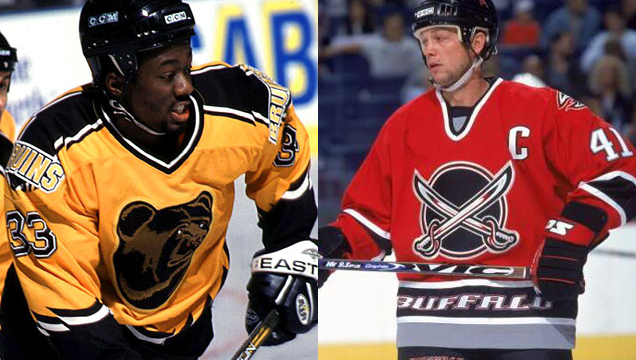 The Sabres pull out their old third jerseys from the early ’00s (complete with Buffalo printed on the striping) to accommodate the Bruin’s Smokey the Bear jerseys. 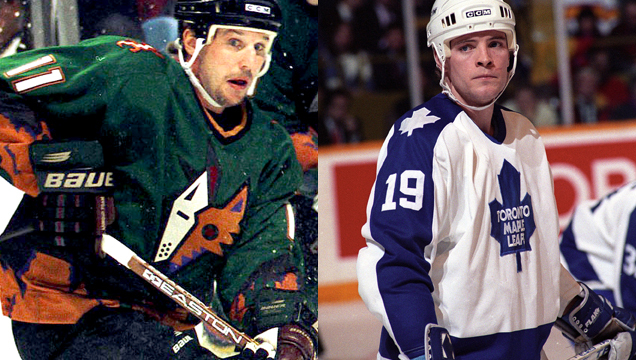 The Coyote’s Ugly against Toronto’s white version of the cuff-to-cuff jersey from the ’80s. 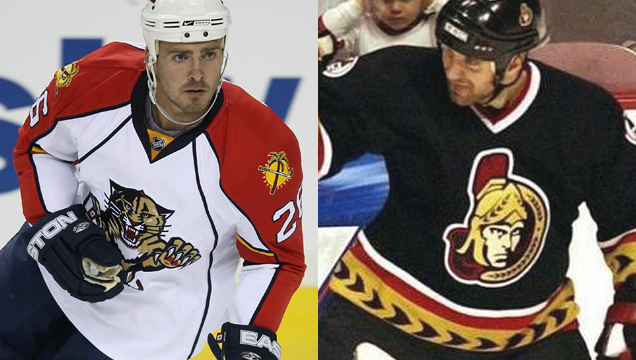 The switch of white/coloured jerseys allows Phoenix to give the game some true grotesqueness. 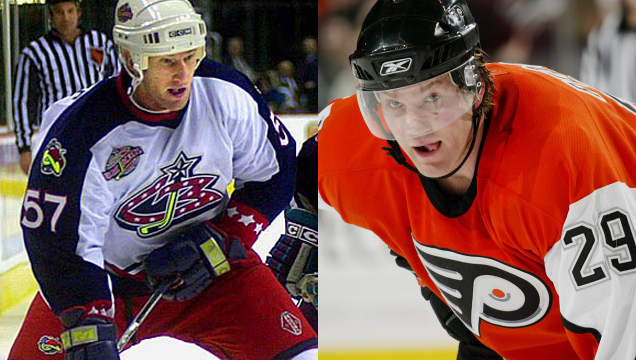 Columbus is too young to have a truly embarrassing ugly sweater, so the the neon-yellow and Stinger-patched original white will have to do against the chromed-up Flyers. 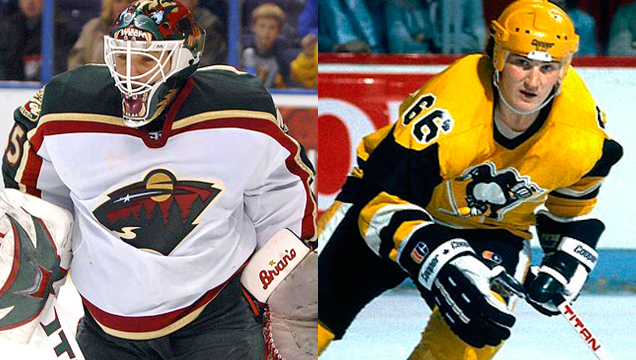 Minnesota’s original multi-striped white jerseys goes against the loud and obnoxious yellow Pens. Florida’s pyjama road trip continues against the sleep-deprived Senator logo with the tacky patterned stripes. 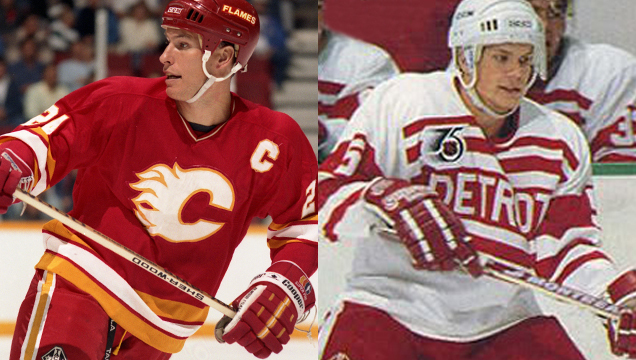 Not an ugly jersey at all, but the definitely loud and brightly coloured Flames goes against the 1991 Detroit Red Wings jersey to celebrate the NHL’s 75th Anniversary. And yes, that’s a very young Nick Lidstrom in his rookie year. 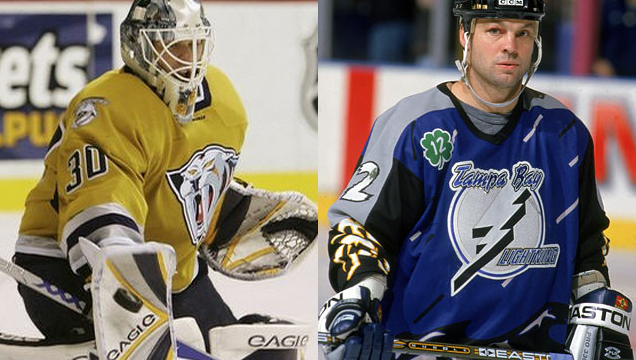 Tampa Bay hopes to wash away Nashville’s urine jerseys with their electric storm jerseys. Just gross. Stripe-tastic! 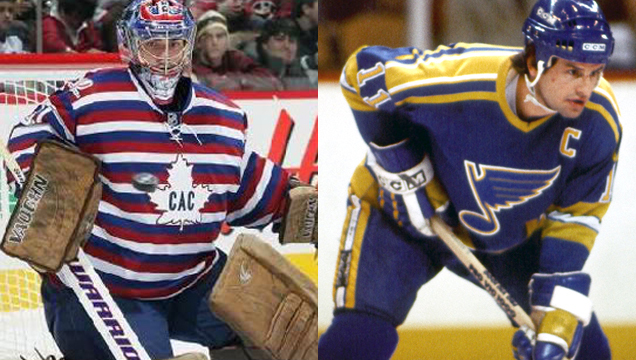 Montreal’s barber poles against the ’80s-ers Blues jerseys with a few too many stripes for its own good. An early Christmas Bowl! 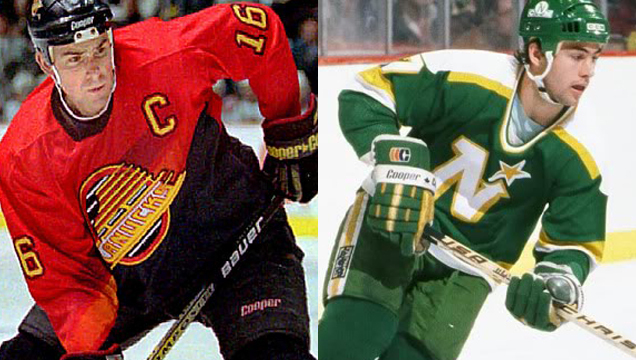 The Canucks wear their worst jersey (yes, worse than the Flying V) with yellow-red gradients while Dallas digs into its Minnesota days to unearth the garishly green-and-yellow jerseys. 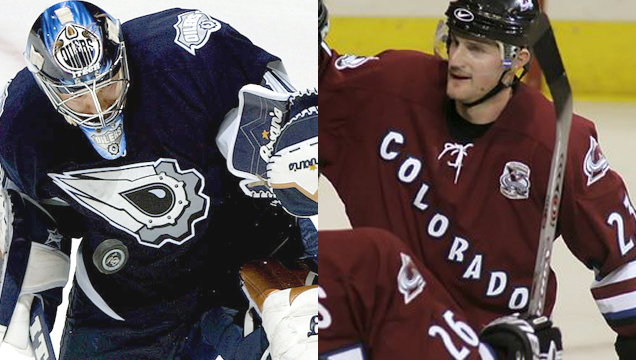 Darker colours rule, as the oil-dripped cogs from Edmonton take on the Ranger-rip-off Avalanche. 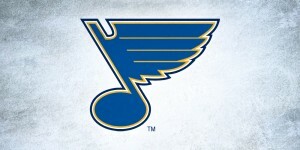 The more recent blue version is way better than the maroon. 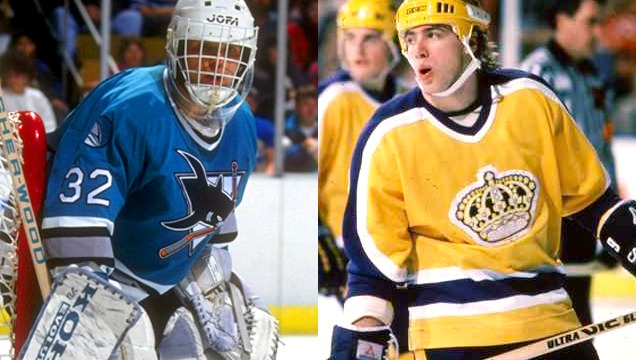 Again, not necessarily either team’s worst jerseys, but a lot more obnoxiously coloured than their worst, making it a colourful game between San Jose and Los Angeles. 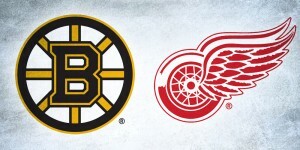 Got suggestions for what you think the two teams should be wearing to celebrate Ugly Sweater Week? Let us know in the comments below. And check back tomorrow for the next games!